(TORONTO - February 2, 2009) The daring collage-based works of Kenyan-born Wangechi Mutu will be on display this winter at the Art Gallery of Ontario, which will host the first solo exhibition of Mutu's socially charged artwork at a major North American museum. 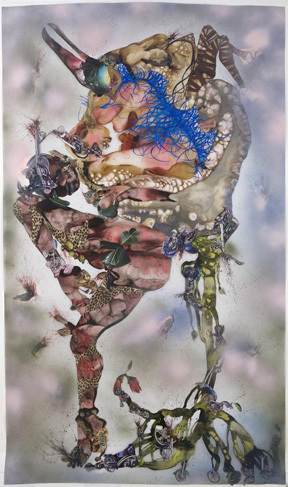 Opening February 24 and continuing through May 23, Wangechi Mutu: This You Call Civilization? encompasses 16 key works by the artist, including 12 large-scale collage-based works on Mylar, two videos and two environmental installations: The Ark Collection (2006), which presents a series of postcard-sized imagery displayed in four large vitrines; and Sleeping Heads (2006), a haunting series of drawings mounted on a ‘pockmarked' Gallery wall, which will be punctured and torn to reflect the post-colonial themes at the core of Mutu's work. "Wangechi Mutu: This You Call Civilization? is part of the AGO's commitment to presenting contemporary art on the leading edge" says Matthew Teitelbaum, the AGO's director and CEO. "We are proud to be the first major museum in North America to feature this intriguing and dynamic artist." Mutu's large-scale collages combine magazine cuttings, ink, glitter, paint and found objects to create distorted and fantastical representations of the female figure. In her video work, Mutu herself is both cinematic subject and agent as she undertakes daunting manual labour. "Wangechi Mutu's work boldly explores the contradictions of female and cultural identity, drawing the viewer into conversations about beauty, consumerism, colonialism, race, and gender," explains AGO Curator of Contemporary Art David Moos. "Her representations of the human form are disturbing and transfixing, at once utterly complex and strikingly direct." A 120-page full-colour exhibition catalogue, edited by Moos and also titled Wangechi Mutu: This You Call Civilization?, will be available for purchase at shopAGO for $29.95. The catalogue includes essays by Moos, University of Houston Professor of Art History Raphael Rubinstein, and Nigerian-born artist and professor Odili Donald Odita, among others. Born in Nairobi, Kenya, Wangechi Mutu moved to New York in the mid-1990s. She received her MFA in sculpture from Yale University in 2000. Her work is included in the permanent collections of many leading contemporary art museums, including the Museum of Modern Art, New York; The Whitney Museum of American Art; and The Museum of Contemporary Art, Los Angeles. Wangechi Mutu: This You Call Civilization? is part of the AGO's Winter Season, which features new and established masters of contemporary art. 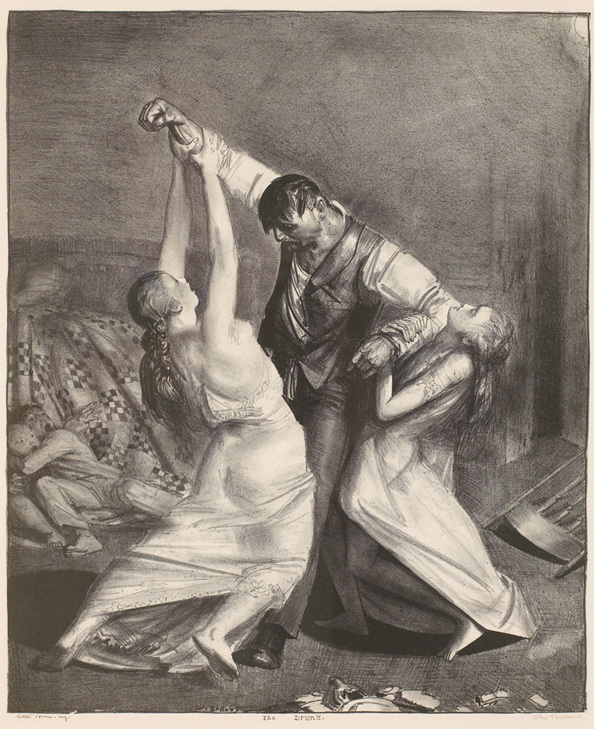 Also on view: Rembrandt / Freud: Etchings from Life, opening January 30; Françoise Sullivan: Inner Force - Winner of the 2008 Gershon Iskowitz Prize at the AGO, opening February 10; and Sculpture as Time: Major Works. New Acquisitions., opening March 3. Wangechi Mutu: This You Call Civilization? is generously supported by George Hartman & Arlene Goldman.